In just a year-and-a-half, a once-troublesome area in Kansas City, Kansas, has witnessed a huge drop in crime. 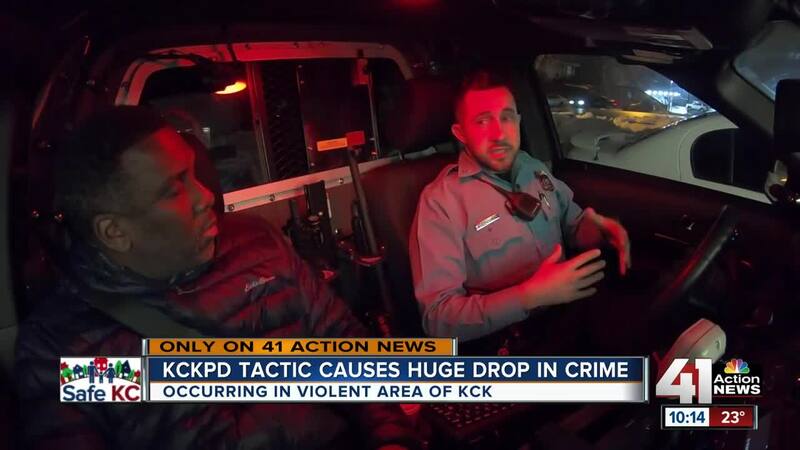 KANSAS CITY, Kan. — In just a year-and-a-half, a once-troublesome area in Kansas City, Kansas, has witnessed a huge drop in crime. According to the police department, violent crime in the area — bordered by Grandview Boulevard, North Seventh Street Trafficway, Pacific Avenue and 18th Street — has gone down 16 percent. Property crime has also decreased by nearly 28 percent. KCK Police Chief Terry Zeigler said much of his department’s success in the area has come from a simple door tag. After businesses have closed for the evening, officers patrolling the area now get out of their squad cars to canvas the area and make sure business owners aren’t making themselves a target for criminals. Police look for issues such as broken gates, insufficient lighting or fencing that’s easily moved, all of which can make a business more vulnerable to crime. If officers see a business like that, they now write a message on a door tag and place it where the owner can find it the next morning. “When we hang these things up, we work with them to say hey, maybe this is something you guys can do to alleviate issues,” Zeigler said. Officer J.R. Messick said it’s a minor act that is having a major impact on crime. “We try and do the preventative work to stop the crime from happening,” Messick said. Because of the added police presence, criminals are thinking twice about hitting the stores along his route, he said. Messick said the increased patrol and business checks are also helping to build relationships with business owners and people who live in the community. Zeigler said the revamped policing efforts, which often happen after-hours when no one else is around, has sent a message to businesses in the area. Do you have a Safe KC story idea? Tell us about it!